Free tree vector illustrations in cool comic styles. 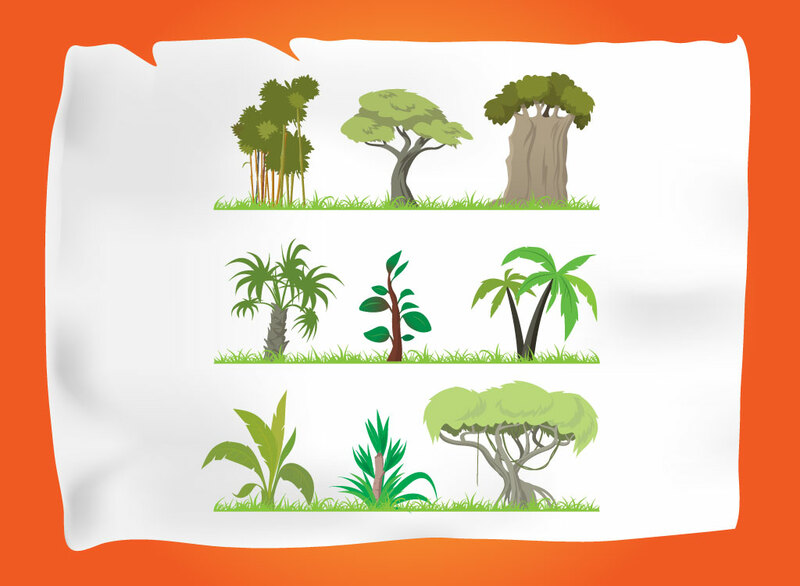 Nine jungle style trees and shrubs come in this free vector nature themed download. Vector design elements come with an orange background with torn paper graphic. Muted colors and organic shapes help give these nature images life. Each vector tree is a fun Illustrator cartoon to work into separate scenes or one fun tropical rainforest. Tags: Cute, Ecology, Exotic, Floral, Leaf, Leaves, Plants, Stem, Tropical.